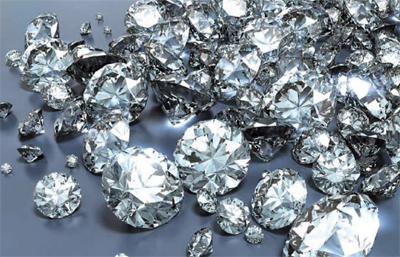 Are you looking to buy or sell diamonds and diamond jewelry in Orange County? The process can be daunting, just searching the terms “buy diamonds orange county” or “sell my diamond in orange county” can bring up a myriad of results, many of whom are fly-by-night businesses with little or no experience in diamond and jewelry buying. It can be a difficult to sift through all of this and know who you can trust, which is why Jewelry-N-Loan has worked very hard over the years to build a reputation as one of the most trusted and honest names in the business. At Jewerly-N-Loan in Costa Mesa, CA in the heart of Orange County, we buy, sell, trade and make collateral loans on diamonds, diamond rings, diamond earrings, diamond necklaces and more. We have decades of experience in this business, and we’ve worked with thousands of satisfied customers throughout Orange County, Southern California and across the United States. We understand that buying or selling a diamond is an important and painstaking decision, and we do everything we can to make sure the process is simple and painless. Utilizing years of expertise in diamond buying our staff can tell you what your diamond is worth and why, or we can help you pick out a diamond to buy from our extensive inventory of high end stones. If you’re looking to buy or sell diamonds in Orange County, save yourself the trouble and contact Jewelry-N-Loan first, or come by our shop at 1872 Newport Blvd. in Costa Mesa and speak with someone on our staff today. You’ll be happy that you did.